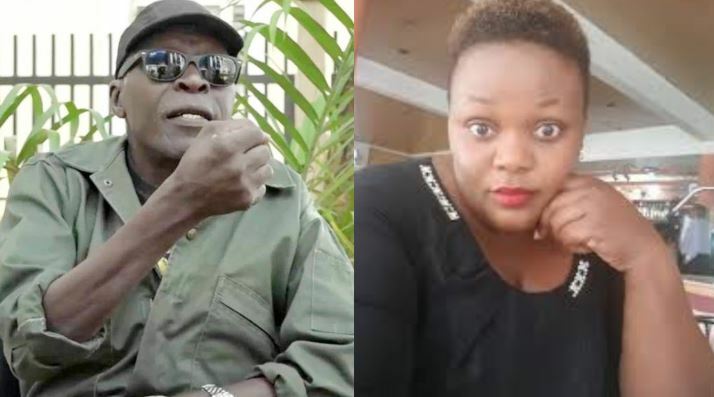 KAMPALA – Singer Catherine Kusasira has declined to record a statement in relation to the case where her car was shot by Maj Gen. (Rtd) Kasirye Ggwanga. Gen Ggwanga allegedly shot at Kusasira’s car last Tuesday night at Makindye, a Kampala suburb, deflating its tyres. The case was then recorded at Katwe Police Station. However, Police spokesperson Fred Enanga said they have invited Kusasira to record a statement but she has not turned up. “We have repeatedly tried to invite singer Kusasira to come and record a statement but up to now, she has not responded. We call upon any other witness to come and give us information,” Mr Enanga said at a media briefing at the police headquarters in Kampala on Monday. He added that police will send the file to the Directorate of Public Prosecution (DPP) for advice without Kusasira’s statement. When contacted, the artiste said that he had already sorted out the matter with Gen Ggwanga. “That matter has already been sorted. It was a minor case,” she said. Maj Gen Ggwanga last week said he would not obey police summons to answer charges of malicious damage over the matter. The controversial retired army officer shot at the singer’s vehicle after her aides reportedly refused to lower the volume in the car. “Why? I will not go there. I shot the tyre. You don’t mess up with a General,” he said on Wednesday. “Kusasira and her drunkards wanted Shs300m from my son. They thought they were going to get the money. I tell you when I was called, I got out of the bed and reached there,” he added. Witnesses told this website that Maj Gen Ggwanga’s children had come to buy food at a takeaway joint in Makindye. At that moment, Kusasira’s car, which was being driven by her aides, arrived with loud music blaring inside. Shortly after, Ggwanga is said to have arrived at the scene and also ordered Kusasira’s aide to reduce the music.